Call us, and we’ll come fix your shower! You can only go so long with a malfunctioning or broken shower, especially if it’s the only one in your house. Here at Minyard Plumbing, Inc., we understand that dealing with a shower in disrepair is frustrating and inconvenient, which is why we offer shower repair services that are fast, effective, and designed to fix things right the first time. Sometimes, a shower that doesn’t work is indicative of a larger problem with your pipes and the rest of your plumbing system. Call us for shower repair, and we’ll perform a comprehensive assessment of this fixture as well as the rest of the plumbing systems that work with it. After coming in and looking at your broken shower, we’ll give you our honest opinion about what needs to be done, as well as how much any repair work will cost. On top of getting your shower up and running again, we’ll give you tips for keeping your shower in good working condition moving forward. For instance, this can mean anything from unclogging your shower drain regularly to watching out for constant drips that can waste water and negatively impact your drainage system. 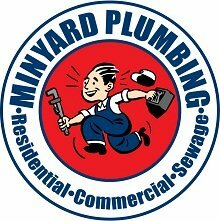 When it comes to shower repair in Morganton, North Carolina, there’s no better place to turn than to us at Minyard Plumbing, Inc. If you have questions or want to schedule your next service appointment, we’re ready and waiting to take your call. Contact us today! 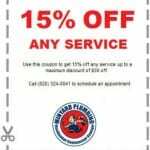 At Minyard Plumbing, Inc., we offer high-quality shower repair services in Morganton, Hickory, Bethlehem, Conover, Lincolnton, Newton, St. Stephens, and Taylorsville, North Carolina.